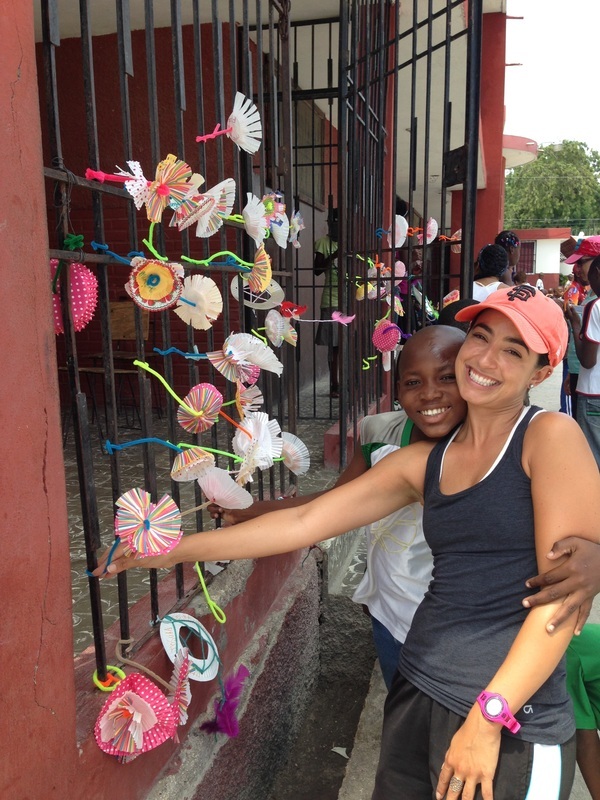 Each year volunteers work on three team trips to Haiti: Summer, Winter, & Spring. The Summer trip involves providing a summer camp experience for all the kids, culminating a carnival themed birthday party on the last day. Before leaving for Haiti there is a lot of preparations to be made. The team must raise money for travel and supplies. They work to ensure every child has a birthday gift, and coordinate the fun! Scroll down and get to know the volunteers who work to ensure that each child has love in their hearts after the week is over. There are pictures here also from this years trip! 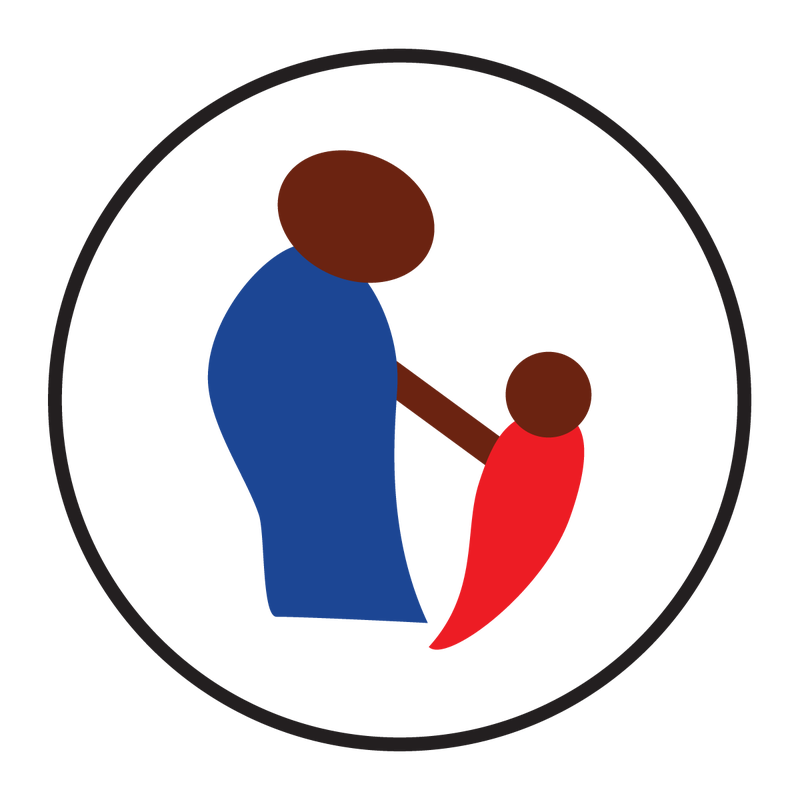 We would greatly appreciate if you would make a donation of any size today to show your support to your friends and family who travel to Haiti, and especially to help us help the children. Thank you. 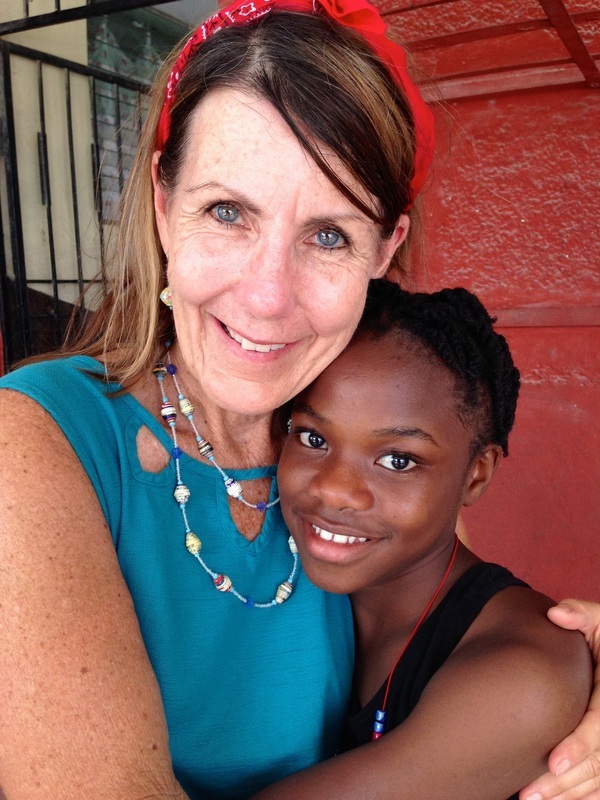 A special part of being on the Haiti Camp team was connecting with our sponsored child, Sabia. My husband and I have sponsored her for the past 5 years. She knows we love her and pray for her and I feel a special connection with her when I am there. Now that she's getting older, she helps us with the camp activities. She sticks by my side each day and we soak up the time we have together. It is very hard to say good-bye. It reminds me of when my grandparents came to visit each year. I think of myself as part of her God-family. I try to pour encouragement and love into her life while I have the short opportunity. In spite of our limited language, I think she hears me loud and clear! 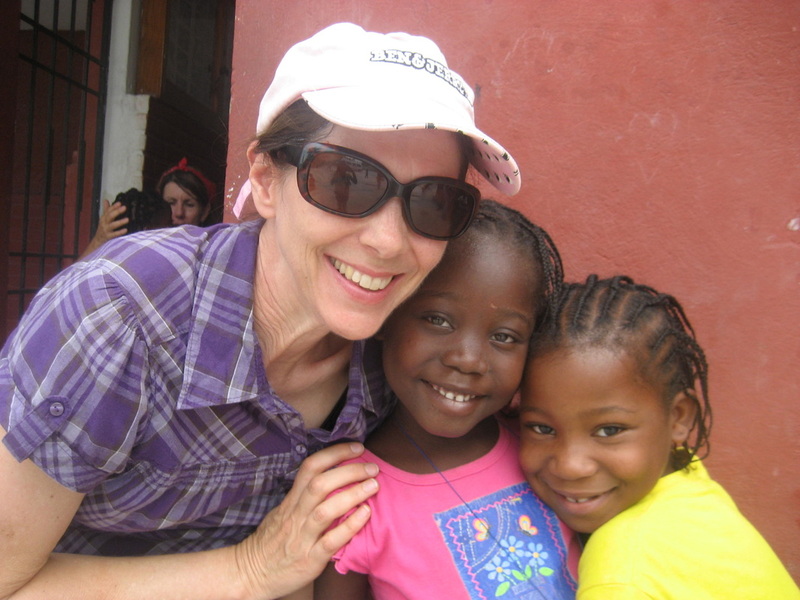 This summer was my 4th summer camp experience at the orphanage in Haiti. I am as touched and humbled by this place, this organization, and these kids today as I was the first time. It will forever be a place of living faith for me. 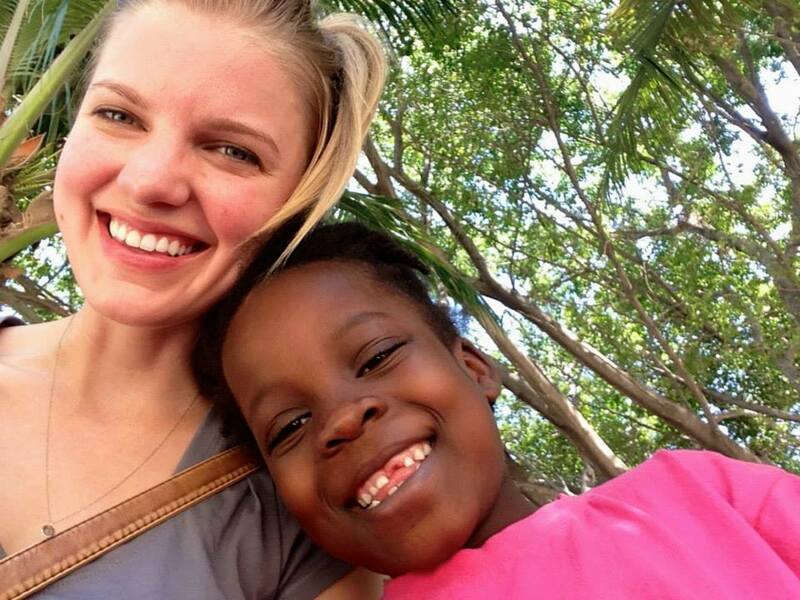 My faith symbolizes love, forgiveness and hope and that is what I live each and every day while in Haiti. The love is just overwhelming. These kids want so much to be loved, and are just as eager to express their love. Isn’t that what we all want? To be loved and to be able to express our love in return. While there I feel the presence of God every day and see him in the faces of all those kids and know that I am forgiven for taking for granted the many blessings in my own life. These kids are the Hope for Haiti, they are the future and they deserve to be loved and cared for. I am so grateful that they are in a safe place where they are fed, educated and well cared for, but I worry as costs rise how the foundation will be able to continue to take care of these precious children. They are part of my family now, and I think of them that way. I pray for them and their futures. I am so thankful to Karla and the foundation for this wonderful opportunity. It is one of the best things I have ever been involved with. Our family had been sponsoring a girl in Haiti, and I decided I wanted to go meet her. The week in Haiti doing summer camp seemed a perfect fit for me since I am a teacher and I love working with kids. It was an amazing week. Seeing God at work in Haiti and seeing the joy in the children and workers made it really meaningful for me. We had a great team and Karla did a great job leading our team. We all worked together and came home blessed and ready to go back. Ally loved her time with the children and she hopes to return again next year. My first USFCH summer camp was in 2010, I have been to every summer camp since :). My love for Haiti began during that first summer camp and has grown into extended trips to volunteer my time. Along with my love for the work being done by the foundation. I have come to know, love and sponsor a young boy. Kenley and I have developed a deep bond and have enjoyed many summer camps together over the years. I cherish moments when we are sitting together hand in hand loving the time we have together. My love for God stemmed from watching the children and house moms worship Him unconditionally and I continue to learn from them and grow in my faith. I would not be the person I am today with out this foundation and the opportunities that it opened up for me. Bondye Bon! God is Good! 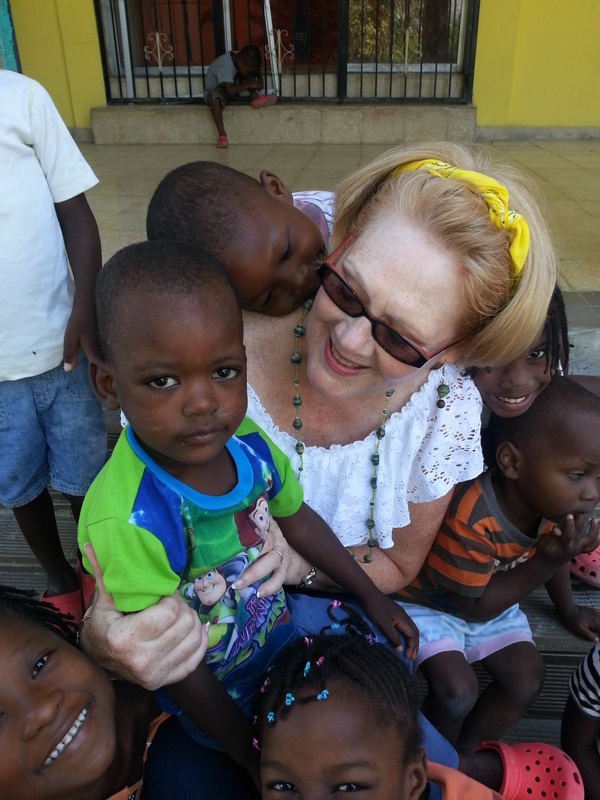 I had such a wonderful experience working with the children of Haiti. They were kind, eager to learn and play, and full of joy. They impacted my life in a way that cannot be described in words. The children of Haiti will forever hold a special place in my heart. Haiti has a special place in my heart. My first trip to Haiti was in 2012, and most recently I returned for the summer in 2015. Camp is such a great week, because we get to do arts and crafts, sports, sing songs, pray, and my favorite, dance! These children are some of the kindest and most beautiful people I have ever met. Though they live in hardships, they are so grateful for everything they are given. They remind me to be thankful, and bring so much joy into my life. People often say it's such a wonderful thing, going off into third world countries to help children, but what people don't understand, is that these children show me God's selfless love, and have changed my life completely.